The table below provides a searchable list of commands that are mentioned in the Intro to Linux tutorial. 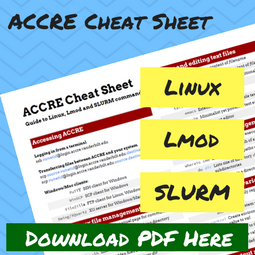 For a printable list of commands, download the ACCRE Cheat Sheet. man Displays the manual page for another command. For instance, "man ls" gives a manual on the ls command. You can even type "man man", which opens the manual for man itself. pwd Prints out the present working directory. ls Prints out the list of files in the current directory. mkdir Makes a new, empty directory. rm -r Removes a directory and any files that are contained within it. Be very careful using it! cat Displays the entire contents of a file from start to finish. more Displays the entire contents of a file page by page. cp -i, mv -i Interactive mode: display a warning before copying or moving an existing file. rm -i Interactive mode: display a warning before every removal. emacs Edits text files; very popular with programmers. vim (or vi) Edits text files; very powerful but has a steep learning curve. 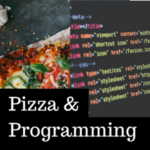 nano Edits text files; easiest to learn. chmod Changes read/write/execute permissions for a file. find Finds files in a directory. 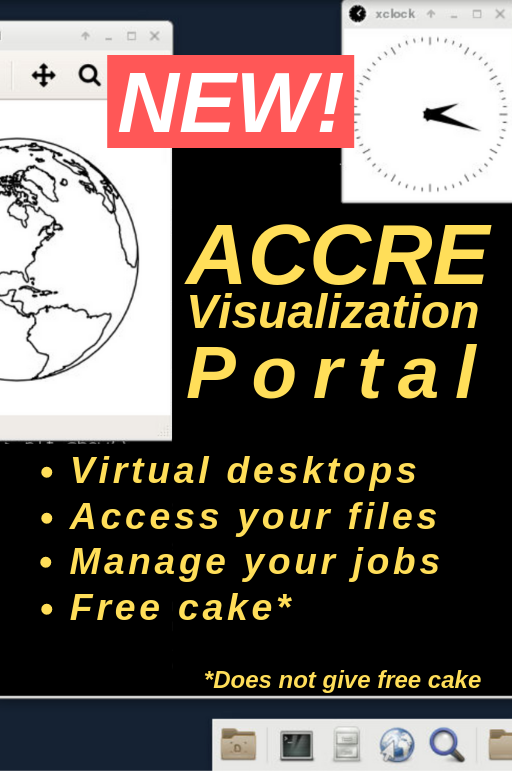 variables every time you start an ACCRE session. ` (grave) Any command within grave accents (not single quotes!) is executed first. You can also use $(command) instead. 2>&1 Error and output redirection to the same file. | (pipe) Takes the output of the preceding command and makes it the input of the following command. grep Gets a regular expression and prints it. cut Cuts specific fields or columns. sed Stream editor; does search and replace. 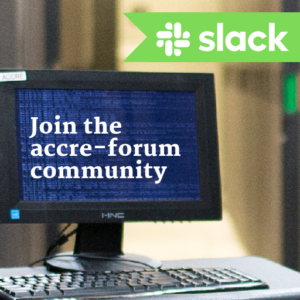 accre_storage Check your quota usage. /home Home directories, one for every user. /home is stored in GPFS, so it is shared among all nodes in the cluster. It is backed up nightly by tape. /data Additional data storage available for purchase. /data is also stored in GPFS and backed up nightly by tape. /scratch Scratch space. Also stored in GPFS, and disk/file quotas are more permissive. However, it is never backed up. /tmp Recommended for temporary storage while your job is running. 30+ GB of space per core. Not stored in GPFS, and not backed up. Please move results to /home, /scratch, or /data and clean up /tmp when your job is done.